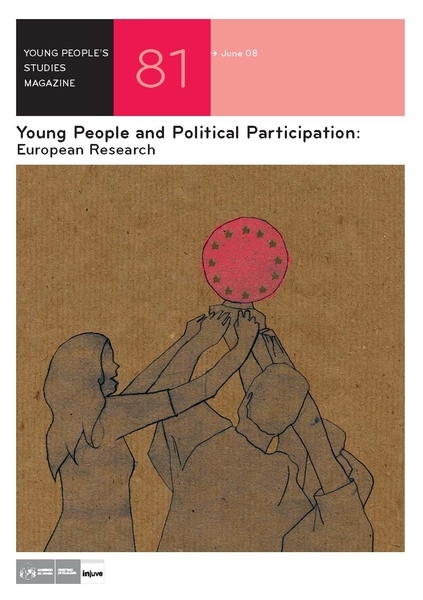 Young People's Studies Magazine: European Research. Coordination: Jorge Benedicto y Andreu López Blasco. Young People's Studies Magazine. The participation of young people in politics, which is the subject that this issue of the Magazine is devoted to, is one of those topics that, at a first glance, seems to have been fully dealt with in the past, so much so that nothing new can be added, apart from mentioning once again, the pessimistic predictions that can be gleaned from public opinion. However, if one goes more deeply into its characteristics and the way it has evolved, paying particular attention to the different contexts in which this participation takes place, one finds it surprising just how complex the matter is, how difficult it is to reach final conclusions one way or another and, above all, how little we know about why and how young people participate in politics in this globalised society. 1. Young people and politics: disconnected, sceptical, an alternative, or all of it at the same time? 4. Young people's trajectories of political participation in Europe: Cohort effects of life-cycleeffects?